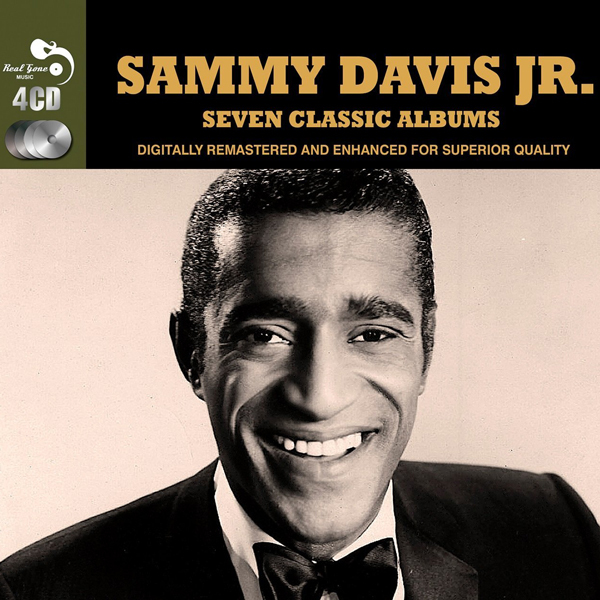 Sammy Davis, Jr. Sings What Kind Of Fool Am I – And Other Show-Stoppers was released just a month after his previous Reprise LP, and contained only five new recordings. Four of those were all from the same musical; this was an album release with a very specific purpose. When Sammy Davis, Jr. visited London in May 1960, he struck up a close friendship with actor and songwriter Anthony Newley, and composer and lyricist Leslie Bricusse. The two were working together on an upcoming musical – an allegorical piece, full of satire, which featuring stylised set design and a ‘Greek chorus’ of sorts to provide commentary on proceedings. It was new and different, and Sammy was fascinated. The musical was titled Stop The World – I Want To Get Off, and it opened in Manchester, England, on 20th June 1961. In July, Newley, who both directed and starred in the show, released a single on Decca of the big closing number from Act II, “What Kind Of Fool Am I” (Decca also released a cast album). At the same time in the US, Sammy Davis, Jr. had been provided the score by his friends, and immediately recorded his own version of “What Kind Of Fool Am I”, along with what he considered the next best song, “Gonna Build A Mountain” (both with arrangements by Marty Paich). In August, Sammy flew to London to begin a seven week run at the Prince of Wales Theatre. He went, of course, to see Stop The World, which had since moved to the West End and become a hit. In an unusual move for a currently-playing musical, Bricusse and Newley granted Sammy special rights to sing songs from the production in his own appearance across town. Sammy released “What Kind of Fool Am I/Gonna Build A Mountain” on 45rpm Reprise in the UK in February 1962, and by March it had made the UK charts, where it stayed for 8 weeks, peaking at #26. 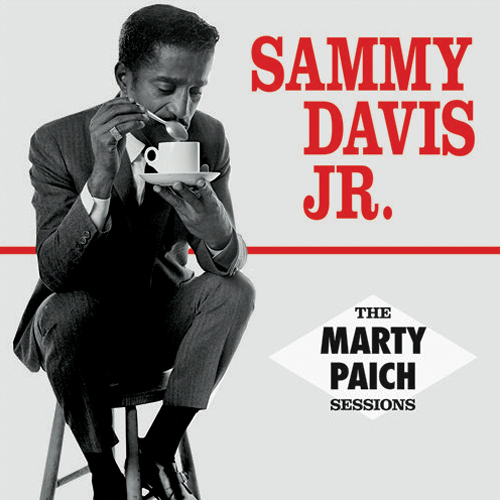 However, because Producer David Merrick had bought the Broadway rights to Stop The World, Sammy’s recordings were embargoed from release in the US and Canada. In the meantime, Sammy recorded two further titles from the production in the studio, “Someone Nice Like You” and “Once In A Lifetime”. When Stop The World – I Want To Get Off made its way to America in October, Sammy Davis, Jr. became a crucial part of the marketing for its upcoming Broadway debut. 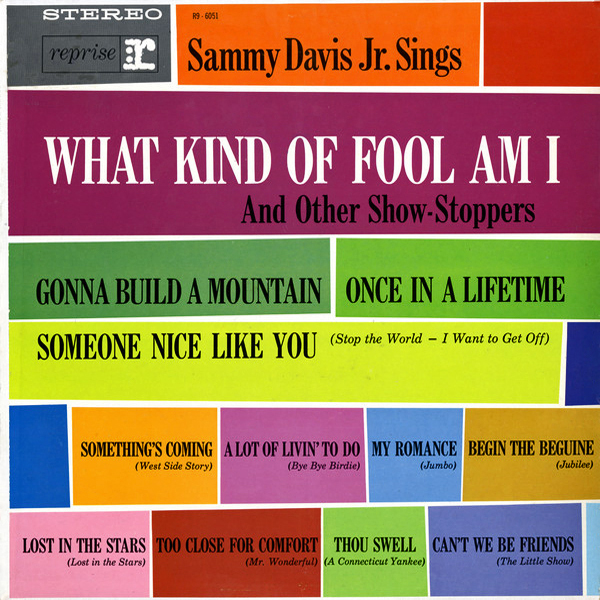 To build publicity, this album (containing all four songs Sammy had now recorded from Stop The World’s score) and Sammy’s single of “What Kind Of Fool Am I” were released, both in August. The plan worked to perfection: by the time the show opened, Sammy’s recordings were already hits! On the Billboard charts, the single made it to #17 (#6 in adult contemporary) and the album made it to #14 and remained on the charts for 22 weeks. Stop The World itself ran for 555 performances until February 1964. Of the eight remaining tracks on What Kind Of Fool Am I – And Other Show-Stoppers, seven had already appeared on other Sammy Reprise LPs (two on The Wham Of Sam, and five on Sammy Davis, Jr. Belts The Best Of Broadway). Only one had not yet seen the light of day: “Begin The Beguine”, which had been left off the earlier albums probably due to stylistic concerns (on it, Sammy sings with only percussion for accompaniment), but certainly not due to quality concerns – it is undoubtedly one of his best singing performances on vinyl. This success of this album heralded the beginning of a lifelong collaboration between Bricusse, Newley and Davis, which saw Sammy record almost everything the pair wrote (either together or individually) – over 50 titles in total. 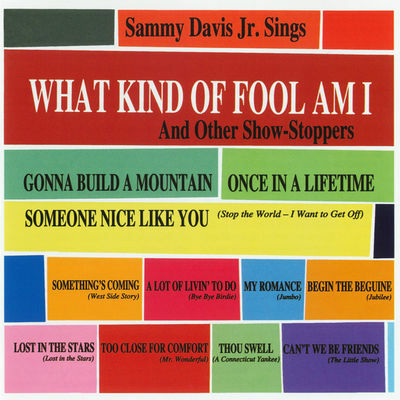 “What Kind of Fool Am I” became a signature tune for Sammy and he sang it in practically every live performance for the remainder of his career. Furthermore, in 1978 Sammy would star in his own Broadway revival of Stop The World – I Want To Get Off. What Kind Of Fool Am I: This became the song most associated with Sammy until “The Candy Man” came along a decade later. Sammy’s recording was Grammy-nominated for ‘Record of the Year’, and the song itself won the Grammy for ‘Song of the Year’. In 2002, Sammy’s recording was inducted into the Grammy Hall of Fame, which was instituted to commemorate recordings of lasting qualitative or historical significance. You can’t hear the spine-tingling finish without agreeing wholeheartedly with the Grammy committee who chose to honour it in this way. Begin The Beguine: An amazing feat of vocal prowess. The doyen of jazz singing criticism Will Friedwald writes about this recording: “Incredibly, [Davis] sustains both rhythm and pitch with absolutely zero harmonic support throughout all 108 bars of one of Cole Porter’s longest and most challenging melodies; as if the thing weren’t long enough already, he and [Marty] Paich have also tacked on a brand new mini-verse at the head, and through all of which, Davis keeps flawlessly in tune with only the aid of percussion”. Once In A Lifetime: Sammy regularly incorporated this into his live act, enough that Gary Fishgall’s excellent 2003 biography of Sammy was understandably titled Gonna Do Great Things. If no-one celebrated the self as much as Sammy, then this Newley/Bricusse number’s lyrics provided his mantra. Gonna Build A Mountain: Sammy and arranger Marty Paich try hard to bring this number out of the musical comedy milieu and into mainstream pop. They retain a choir in the background (as Newley used in the original production) and play up the Gospel element of the song, but somehow it still swings! Slightly off-putting is Sammy’s occasional over-exaggeration of the British pronunciation of ‘moun-tayne’. This album received an official reissue by Collector’s Choice in the US. Official reissue. Excellent liner notes from James Ritz. CCM logo replaced the Reprise logo on cover. A 2-CD compilation focussing on Sammy’s early recordings on Reprise with Paich. It includes all tracks from What Kind Of Fool Am I – And Other Show-Stoppers.